From the first moments we climb into our boat on the Pirates of the Caribbean ride singing, “It’s a pirates life for me,” or view those wondrous opening frames of any of the Pirates’ movies, we are captivated by the spirit of adventure mixed with romance. It’s a fun adventure filled with memorable moments. 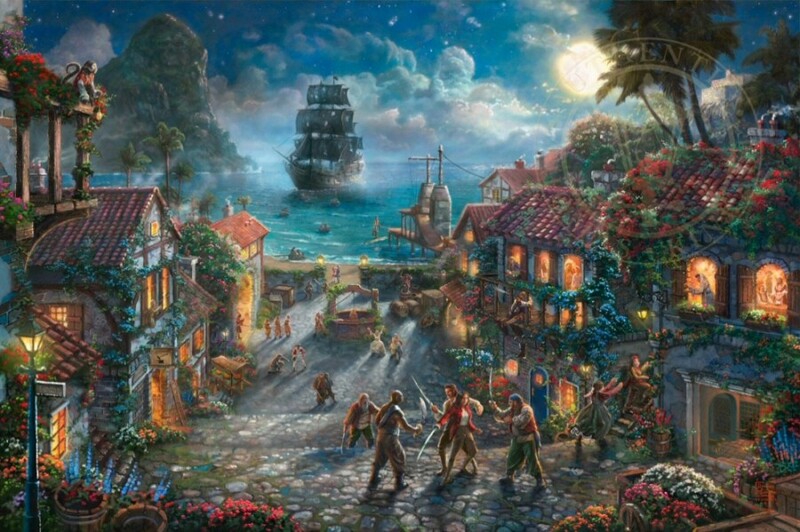 Captain Jack Sparrow makes his grand entrance as his ship slowly sinks in the harbor of a portside town. A mischievous mutt can be seen taunting pirate prisoners. Will and Elizabeth are fighting pirates back-to-back while resisting the inevitable pull of true love. 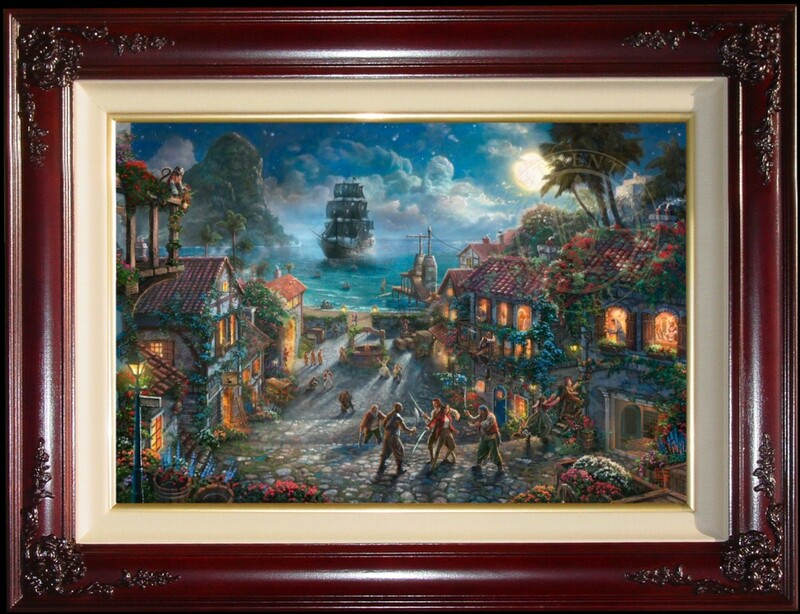 In Pirates of the Caribbean, The Curse of the Black Pearl, the Thomas Kinkade Studios celebrate these iconic characters and films, which so vividly remind us of a life of passion and adventure. Thomas Kinkade images are beautiful in any light but the illuminist technique mastered by Thom, a main feature of the artworks, is best viewed with proper lighting. We carry picture lights with cords and dimmers which give you the gallery feel at home. The Traditional Series gallery lights are sleek and stylish with a unique design fashioned to compliment any décor. Do you need 24/48 hour delivery of a Kinkade for Birthday, Anniversary, Special occasion?